Like all plants, herbs can be either annuals, biennials, or perennials. 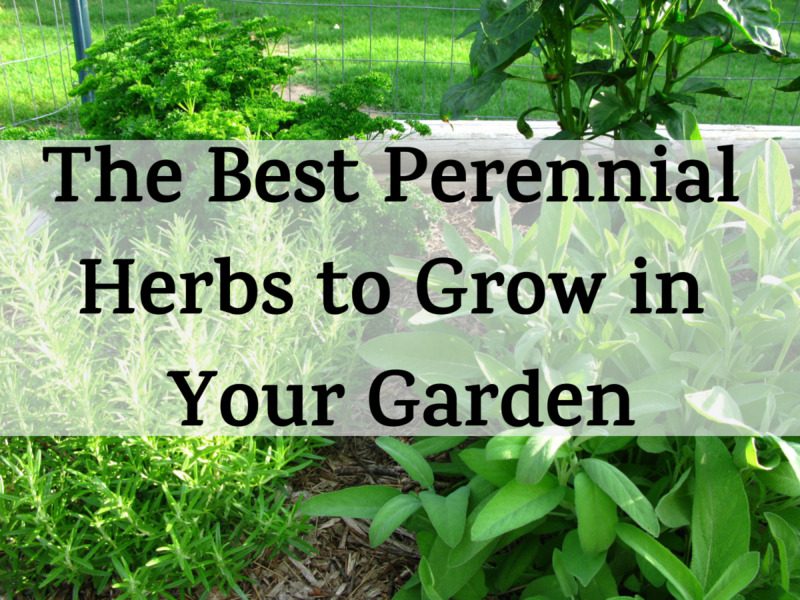 Perennial herbs are among the most popular herbs for herb gardeners, since they grow for several years, giving you a continuous harvest for your kitchen. Many can be dried or frozen for winter use, when the plants have either died back for the season or are covered with snow, awaiting spring's warmth to once again bring them to life. 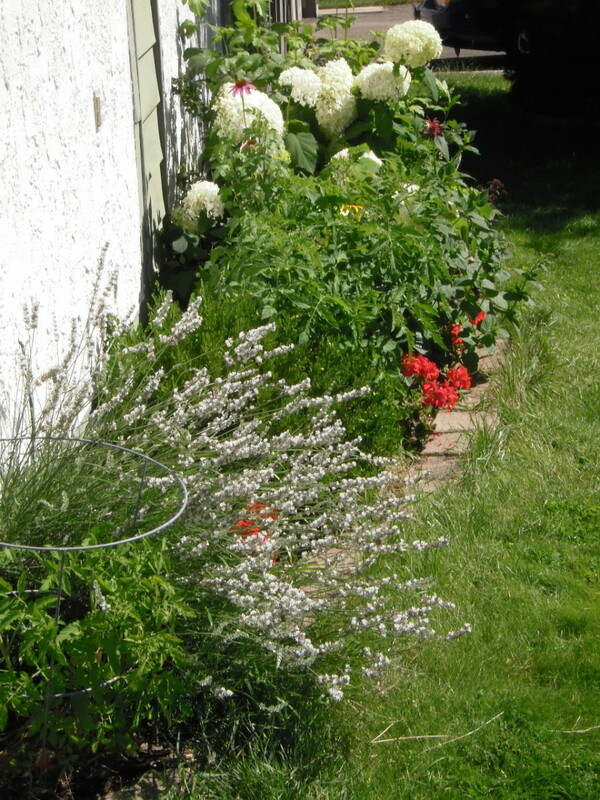 Plant your perennial herbs in their own garden space near the back door where they are in easy reach for cooking. It is possible to grow them in containers, but most perennial herbs prefer a permanent position in the garden. Judge how you plant them by checking their hardiness. 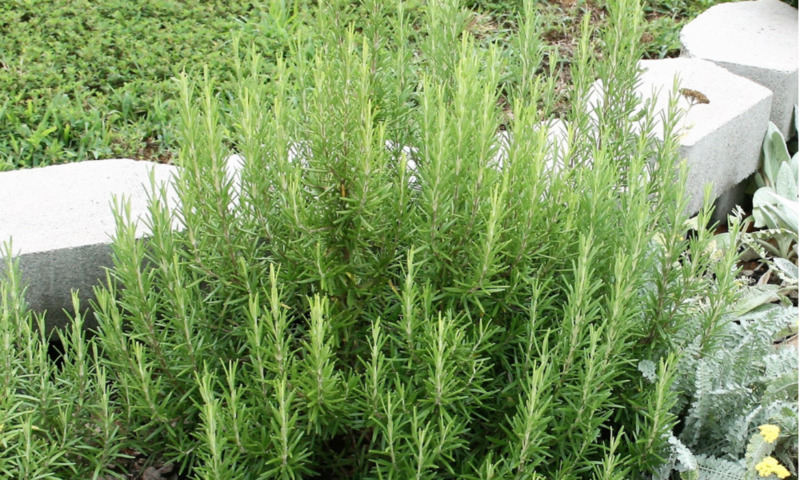 Thyme and sage are very hardy, for example, while your rosemary bush just won't tolerate much cold weather. Nine of my favorite culinary perennial herbs just outside my kitchen door are mint, Greek oregano, thyme, chives, winter savory, rosemary, sage, lavender, and French tarragon. Mint can be an invasive plant, but if you plant it in a bucket or bottomless container sunk in the ground, you can contain it somewhat. It has a pretty purple flower on a small spike and exudes a fresh smell. Its strong flavor complements lamb, peas, fish sauces, chocolate, and vegetables. The leaves, harvested fresh, make a refreshing tea, or you can cut the stalks and hang them to dry for winter use. I've set my mint plant into its own bed, and it has become a three-foot wide monster this year. Several bundles are hung to dry in my pantry, and each day I brew a fragrant and delicious tea—still from the fresh leaves. However, the dried leaves are equally fragrant and delicious. Oregano may not overwinter well in cold climates, but if you cut it back in fall and shelter it with straw, it will usually rejuvenate in spring. 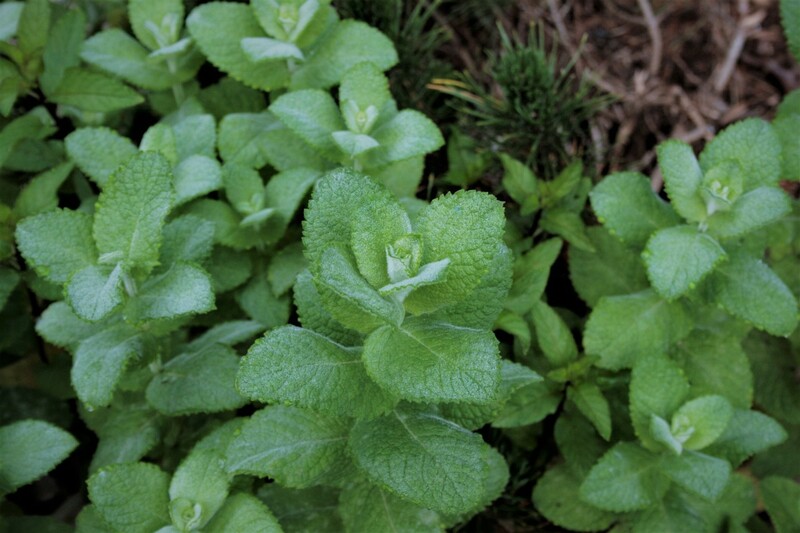 I find here in the Pacific Northwest, my oregano is green all year, and I can often use it fresh in winter months. However, it does not continue growing in cold weather, so I dry bundles every summer and have the harvest to use over winter. Its strong sage-like flavor is used in much Mediterranean cooking, and it goes well with tomato dishes. 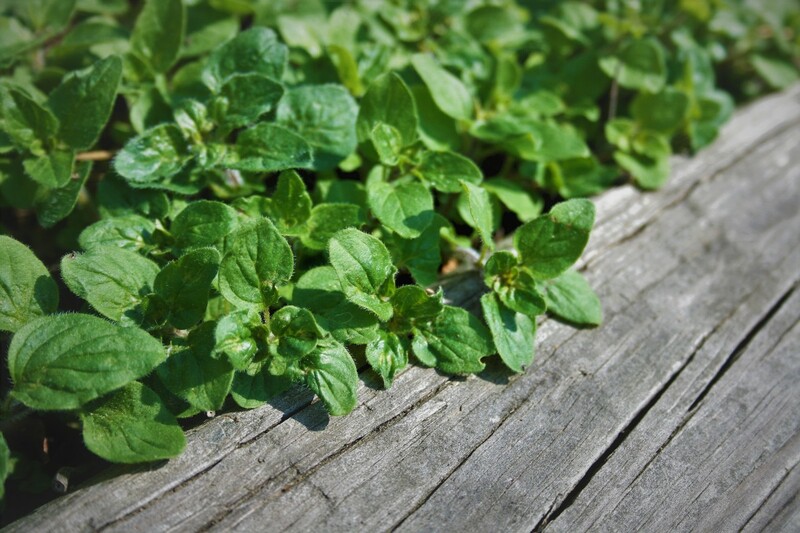 Oregano requires regular pruning, as it tends to sprawl, with the stems rooting where they touch soil. Snip fresh sprigs all summer for immediate use, and preserve it for winter by cutting long stems just before flowering and hanging bunches to dry. I find dried oregano retains its flavor very well. The best time is when the soil is still warm, so late summer or early fall is best. Thyme has to be my favorite herb. It's small, aromatic, and flavorful. It takes virtually no care, and will grow almost anywhere. The plants will grow for years, and are very easy to propagate from cuttings. 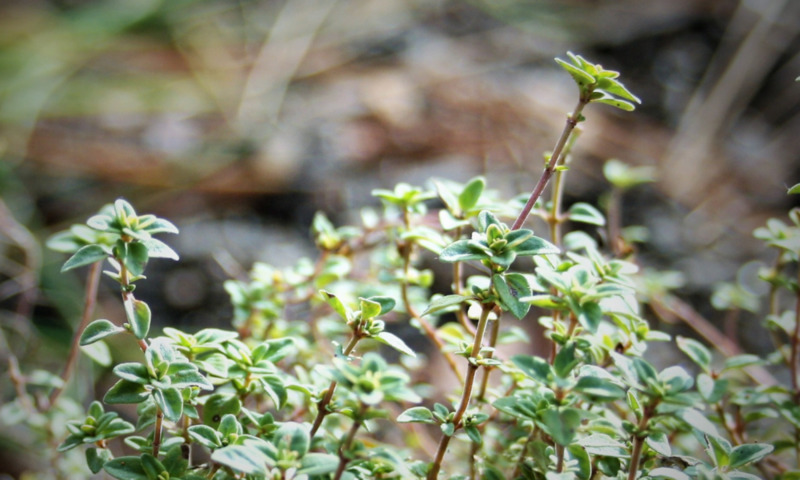 Culinary thyme is a small shrub with tiny aromatic and flavorful leaves and small spikes of purple flowers. I use it widely with most meats, in soups and sauces, stews, stuffings, and even in breads. It likes a sunny spot, and needs clipping back in spring to encourage fresh new growth. With its attractive flowers, even culinary thyme can be a good addition to a path border. For cooking, use it fresh or cut the sprigs before flowering, and hang them to dry. Rub the dry leaves from the stems and store them in a cool, dry, airtight container. Chives are part of the onion family, and the green hollow spears add a mild onion flavor to salads, eggs, sauces, vegetables and dips. Just snip off the the leaves as needed. 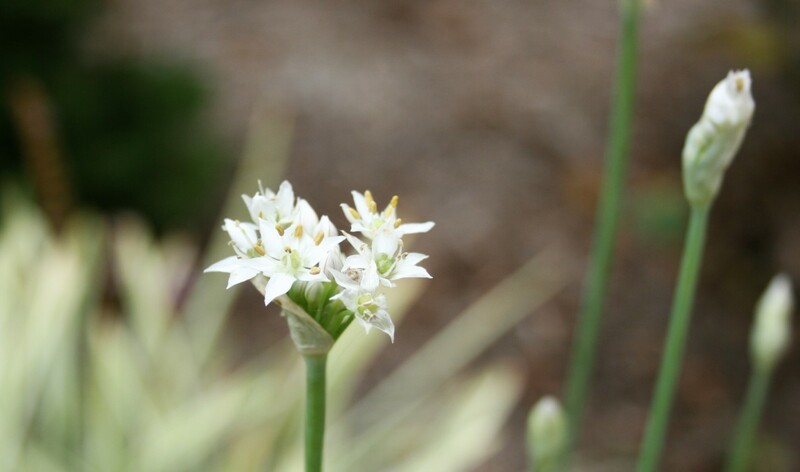 Add the flowers to your salads for both color and a mild onion flavor. Chives are easily started from seed, and will soon expand to a clump of bulbs and tops. Thin the clumps every three years for best growth. The clump will die down in late fall, and in spring, the new green shoots are often the first green in the garden. Chives do not dry well, but it is easy to pot up a small clump for indoors over winter. Winter savory is a bushy hardy perennial with a peppery flavor. It can be used to flavor teas, herb butters and herb vinegars as well as other dishes. This herb does best in drier medium soil, since that is its natural habitat. As the shrub ages, the leaves become sparser, so take cuttings and start new plants every three years or so. This herb has been used for hundreds of years, and has some medicinal qualities as well. Rosemary can grow into a lovely shrub, with its pine needle-like leaves and tiny blue flowers.The bees love it, so it will attract them to your garden. This plant can be used also as an ornamental, and if you're in the right area, a few rosemary shrubs will make a pretty hedge. The needles release a wonderfully pungent aroma when crushed or cut, and a few sprigs tossed in the bath make a refreshing soak for tired muscles after a hard day. It is hardy only in zones 8 - 10, but can easily be grown in a container and overwintered in a cool sunny greenhouse or enclosed porch. With its pungent scent and flavor, rosemary can easily overpower a dish. Use it with roast chicken and meats, and in stews. Finely chopped leaves make a nice addition to breads and biscuits. It can be dried for winter use, or small twigs can be put in freezer bags and stored in the freezer. 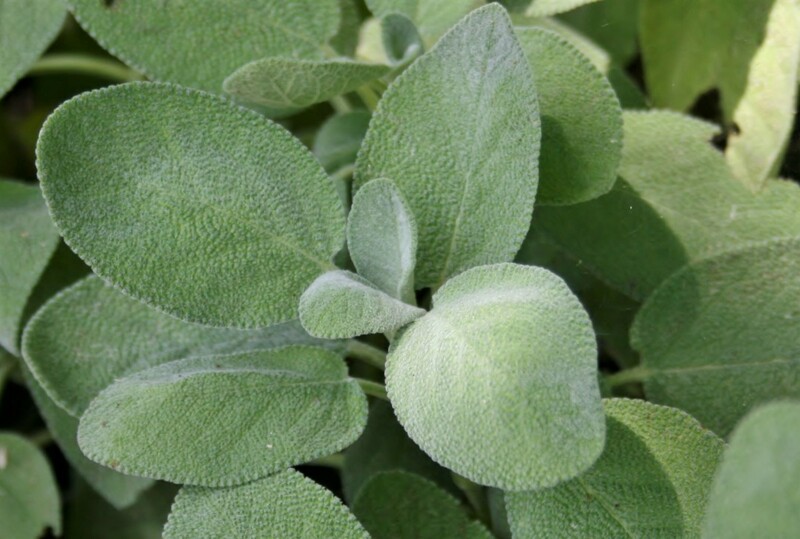 Sage has a strong bitter flavor, and is generally used in stuffings, stews, sausages and herb breads. You'll find a little sage goes a long way in cooking. 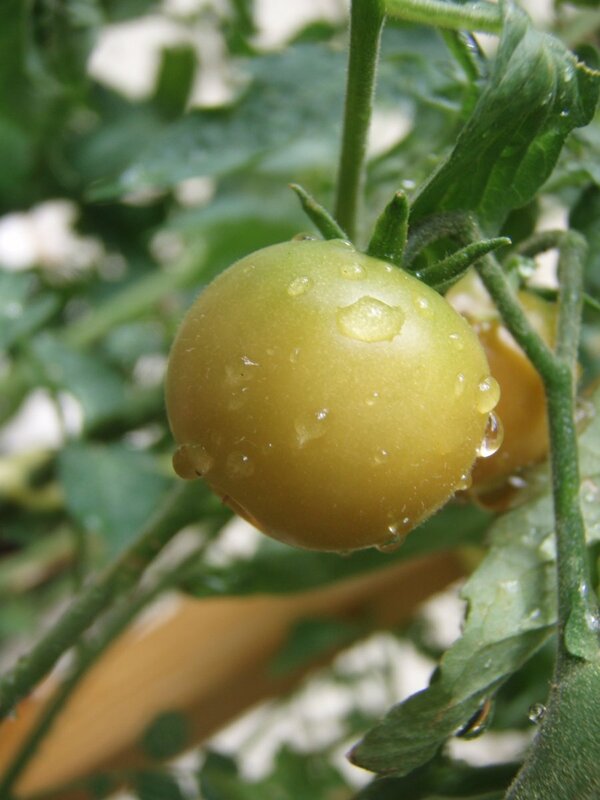 It comes in many colorful varieties, with soft leaves in variegated colors of green, or in dark greens. It sports a very pretty flower spike, so as a small shrub, sage can be planted around the garden as an attractive filler plant. It will grow in most climates, and if cut back severely in fall, will come back well next spring. 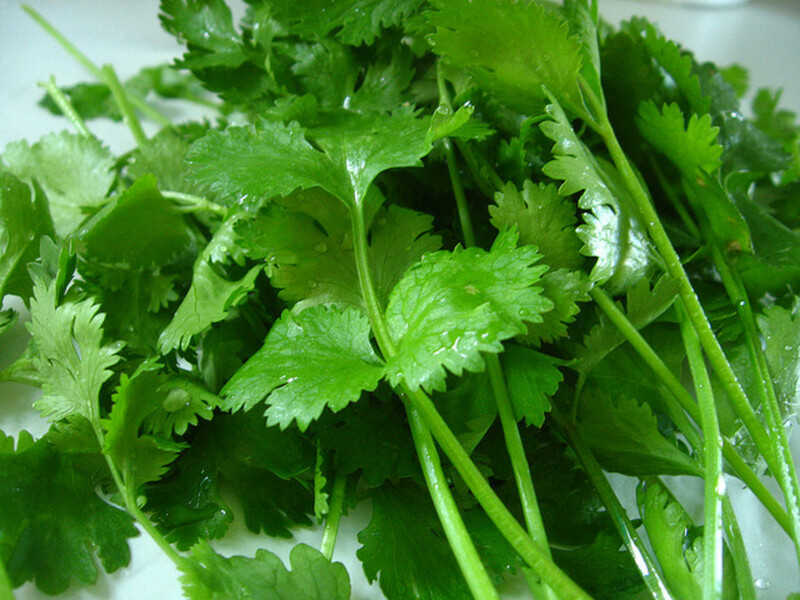 It also can be dried, and the dried herb retains its full strong flavor. 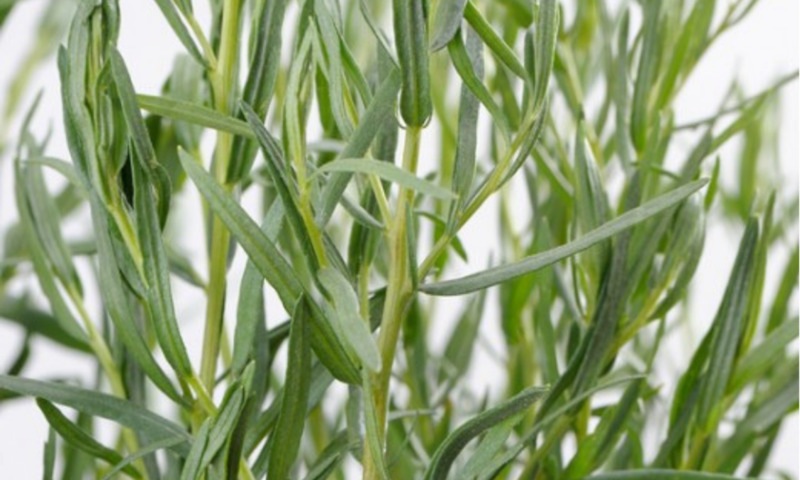 French Tarragon has slender green leaves with a licorice aroma and a loose shrubby growth. It cannot be grown from seed, but you can take cuttings from the new growth in fall to start new plants. Its heavy licorice flavor makes it a useful herb in vinegars, fish dishes, poultry and vegetables. Freshly cut foliage will last for several weeks in the refrigerator if wrapped in paper towels. It can be grown indoors for fresh taste all years round. When buying a tarragon plant, make sure you have the true French tarragon, as other varieties do not have the same flavor, and are of no use in cooking. 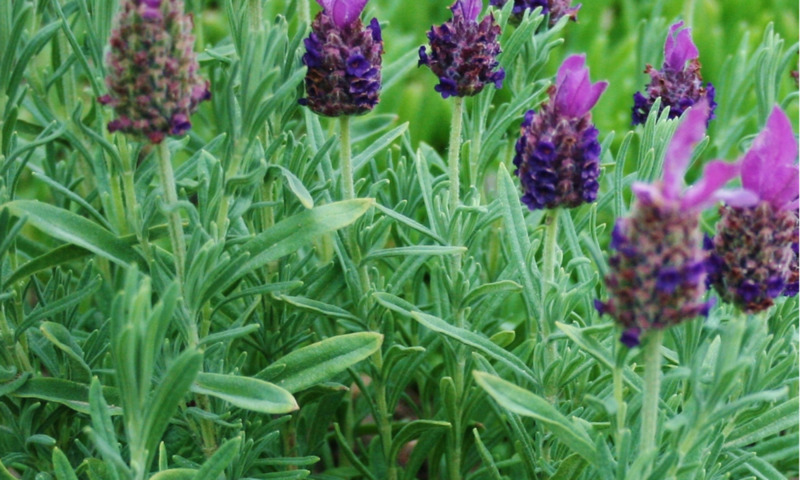 One of the most beautiful and aromatic of the perennials, lavender can be a great addition to your herb garden. Lavender can be used for cooking, floral arrangements, and as an aromatic. Culinary lavender is best used for cooking, and it comes from the same family of plants as fennel, oregano, rosemary, thyme, sage, and savory. The best type of lavender for cooking is English Lavender, as it has a sweet floral taste with notes of citrus. You can plan lavender seeds or use cuttings to grow your own. If you are using seeds, it's best to plant them during the springtime while the soil is warming up. "Growing Culinary Herbs" will inspire you to start your own herb garden, regardless of where you live. Find out exactly how easy it is to grow herbs suited to your local conditions and climate, how to design your space for maximum results, and the right plants to grow in your gardens or containers.This handy book will show you a multitude of methods to grow and to use these healthy, aromatic and flavorful herbs that earn you rave reviews at mealtime. Before you plan your perennial garden, research each herb to familiarize yourself with the best growing conditions and soil type. Decide which ones you will use in cooking, teas, or herbal preparations. Having these fresh herbs growing in your perennial herb garden will supply you with both fresh and dried herbs for your home use throughout the year. The most important thing to keep in mind is to carefully plan out where to put your herb garden. If you have room outside in your backyard, you have to consider the types of herbs you wish to grow and the space they require. Depending on where you live, you may have to take protective measures to make sure your plants don't get eaten by wildlife. If you have a lot of deer where you live, you will need to take precautions otherwise they will eat your plants. Putting mesh over your plants will help but make sure you tie the mesh down otherwise the deer, and other wildlife will find a way around it. Make sure that your garden will get enough direct sunlight. Many people make this mistake, or they allow other plants and trees to grow in their backyards, and they eventually block out the direct sunlight. Cold temperatures can cause frost to form during the night, which can adversely affect your herbs. Most of the herbs are resilient enough to last through a frost if they are old enough, but you should still exercise caution when it comes to protecting your plants from the cold. There are a lot of different methods for protecting your plants from frost, and you will have to find one that is suitable for your needs. Will lemon grass grow as a perennial in southern Ontario? Lemongrass only thrives in zones 8 - 10, so it would likely would not survive as a perennial in southern Ontario. 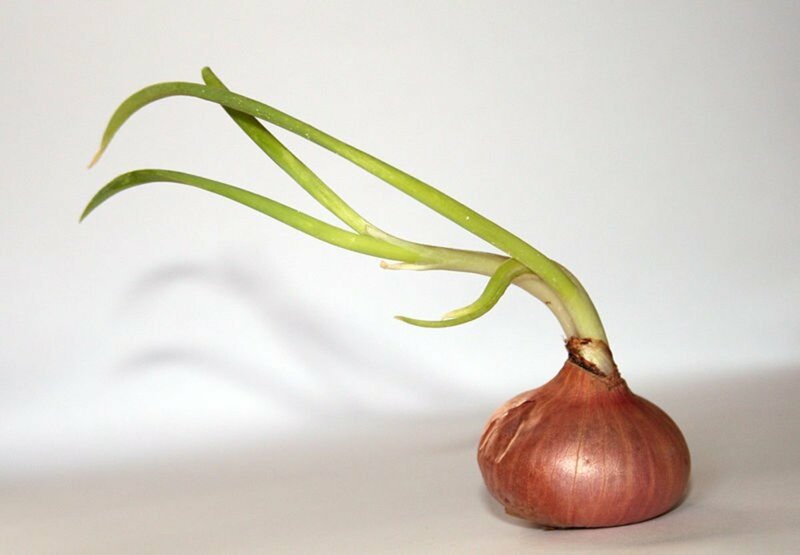 Try planting it in a container (would need a large one) and protect it in winter or bring it indoors where it can go into a dormant state if you place it in a cool but dark spot. I want to create a living wall on the back of my house. I have 10”w x 7”d x 7”h planters. I can bring them in during the winters in NY. Which herbs do you suggest for this size planter? I assume you want culinary type herbs. The planter size will limit you somewhat to smaller plants - chives, parsley, basil, some oreganos, some mints, thyme, chervil, lemon balm, cilantro and summer savoury. Which herbs like full sun? The Mediterranean herbs like full sun - thyme, marjoram, rosemary, basil, oregano, sage, rue and lavender. Also, chives, fennel and dill. Others that do well in the partial sun are parsley, tarragon, chervil, mint and cilantro. What herbs are suitable for a mostly shady location? Mint, cilantro and chives will be fine in partly shady areas. Most herbs prefer a sunny location. Try thyme, tarragon and lemon balm as well. Which herbs have purple flowers? Lavender and chives have attractive purple flowers, as does thyme. How are culinary herbs helpful in gardens? Not only are these culinary herbs attractive additions to the garden, they all are useful in adding flavour, minerals and vitamins to your cooking. 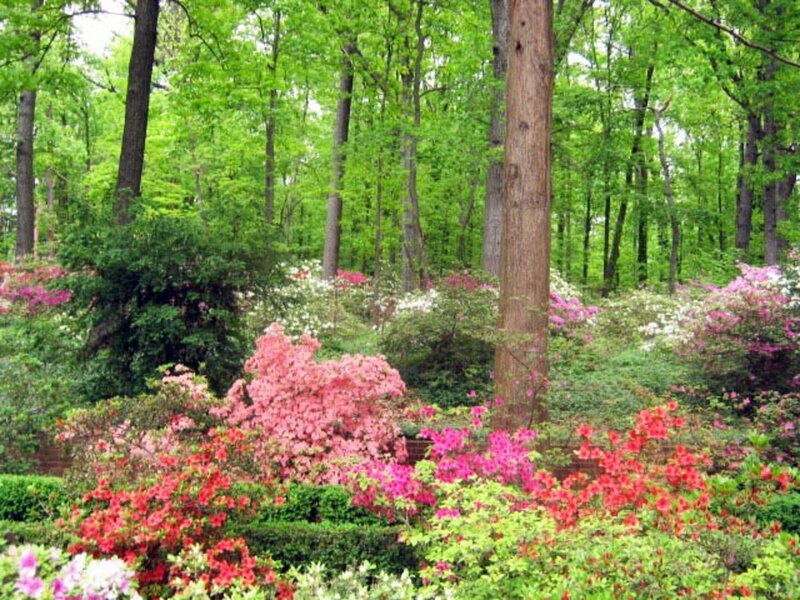 Many are perennials, so do not need to be replanted or replaced on a yearly basis. Rosemary is hardier than you think. We live in a mountain community. While we are not snowed in all winter, most of our winter nights are below 40 with many below freezing, and we usually get S vetal good snows every year. I have had a rosemary bush growing in my front pksntet for 5 years and it does great. If it is buried in snow, the tips of a few branches might get a little freezer burned, but I just clip them off and we are good to go. As soon as it warms up in spring it grows like crazy and bees cover all the lovely flowers. What a wonderful hub! Outstanding information and beautiful pictures! You answered all of my questions plus giving me a storehouse of ideas and options to consider! Thank you so much! When I was growing up my grandmother brought fresh herbs from the market every Saturday. I also enjoy just walking out my door while cooking to snip pieces of herbs. It is so much more flavorful that dried herbs. I love growing my own herbs, but since we moved to a place with less space I haven't started growing them again. It is spring here now I you have inspired me to start again. I'm on Canada's west coast, Dolores, in zone 8, and still lost my rosemary during one cold snap. It does grow quickly, though. Now I have it in a pot, and can bring it in during any colder weather. Well it's spring and time to work on the garden. I've been thinking about adding some more herbs so this hub came in real handy. I live in US Zone 6 and had a real nice rosemary going for about 5 years. It had beautiful flowers. Sadly, this cold winter killed it, but I'll try it again! All of these herbs are my favorites. Thanks for sharing. I'd try that - but why not take a clipping and root it just to make sure? Just found this through pinterest. 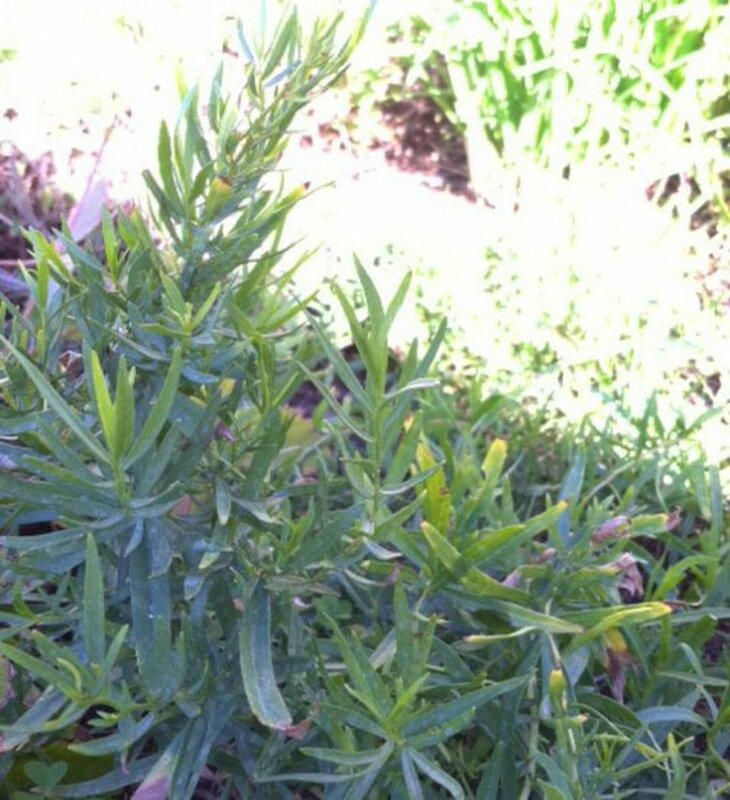 I'm a recent transplant to the PNW from Florida where I could grow Tarragon into a huge shrub. I'm very sad by the state of my tarragon here. Are you saying that I can keep it alive indoors over the winter and then put it back out in the spring? I love to use it in cooking and would love to have it year round. Thanks! Rosemary is my favorite shrub! I love old houses with massive rosemary bushes near the sidewalk. Brushing past them releases a burst of scent that just makes my day. K - Most every herb will bloom but some have less conspicuous blossoms than others. 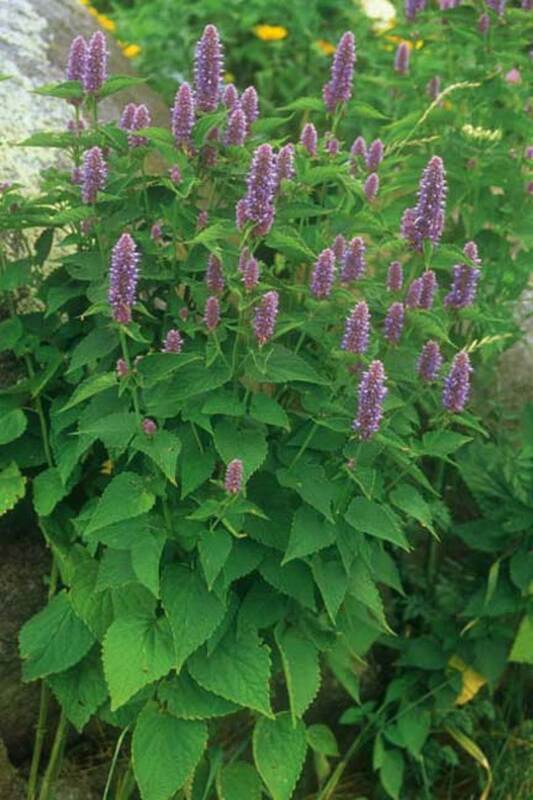 There are some beautiful sages - some with purplish black leaves or deep green leaves - that make a nice small shrub. Try also some of the artemisias - lovely feathery foliage. You can trim them back annually, and the ones I have grow to around 80 cm. Great info - my favourite herb has to be basil - but I just love the smell of nearly all the fragrant ones anyway. 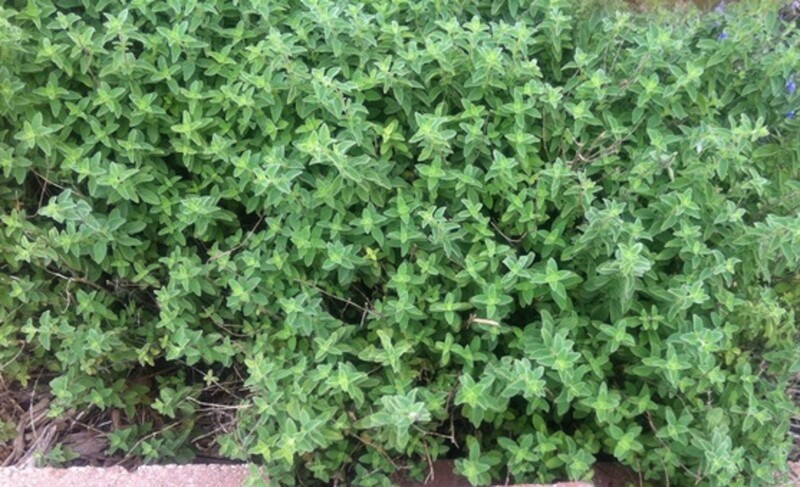 hey, may i know some auspicious herb other than mint for the entrance which is about 40cm - 80cm tall, without flowers, without yellow or orange leaves. I've a large patch of mint (getting larger every year! ), and I dry some for mint tea each year. Love it! But my favorite herb would have to be thyme... or is it rosemary... or oregano. Love using them all! JamaGenee - you can grow some of these indoors, if you have good light. Some lovely herbs and really great content here. I would have to say Mint is my favourite, i just love the flavour and smell. Marvelous information, but alas, the lack of a balcony where I can have a container herb garden is one downside of living in a third-floor flat. Great hub! Thanks Trudy. I'm not sure how I'd cook without my herb garden! Fantastic information thank you so much for sharing. bookmarked this hub and rated you.